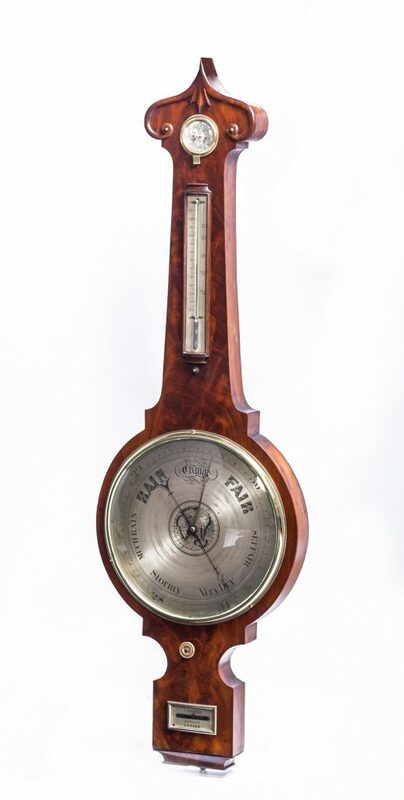 Barometers come into our workshop when the mercury vessel has broken. Once all the mercury has been carefully removed we strip the barometer down before replacing the hand-blown glass vessel, re-setting the weights and gauges accordingly. We often find that glass bezels, etc., need either to be cleaned or replaced during this process. Then, our specialist repairers would attempt to source replacement parts with those reclaimed, wherever possible, from other period items. We would only replace with new in the traditional style where reclaimed parts are not available.